Source Code (C#) and scripts to see how the game was made. 3D Models for the community to warp & modify. Textures & Particle FX to use in your own projects. Music and Sound Effects to enhance and remix. Adam Graham. Jonanne Kus, Brandon Bell, Greg Mladucky & Michael Williams. Top-down Twin-stick Shoot'em Up Game inspired by Dead Ops Arcade from Black Ops. All 3D Models and Textures owned by 343 Industries & Microsoft. 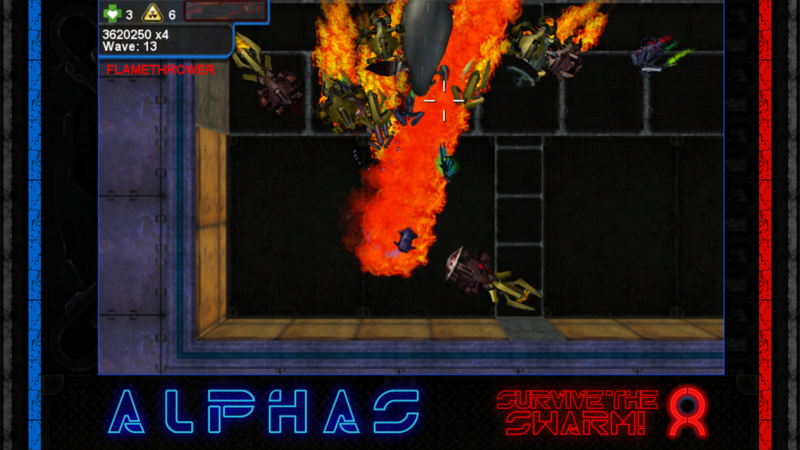 To promote ALPHAS: Survive the Swarm! and grow its popularity (top games), use the embed code provided on your homepage, blog, forums and elsewhere you desire. Or try our widget. An Original Video Animation, based on the Armored Core series, created in the Unreal Development Kit. The project has since moved to Unreal Engine 4.